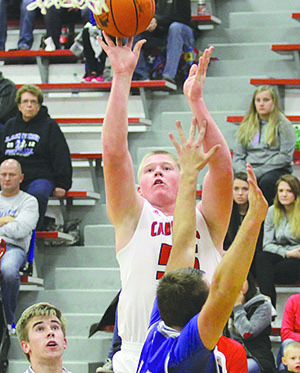 Boone Central/Newman Grove had two players honored as 2017 Mid-State All-Conference selections, which were released last week following voting by league coaches. 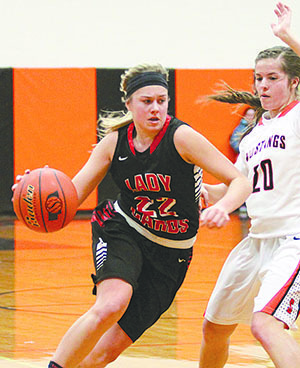 Cardinal senior Tessa Hedlund was one of 10 players selected to the girls’ Mid-State All-conference team and junior Jessie Sullivan was among the 10 named to the boys’ Mid-State All-Conference list. Boone Central/Newman Grove junior Dylan Gentrup and freshman Lauren Hedlund received Honorable Mention in the coaches’ voting. Tessa Hedlund led the Lady Cardinals with a 10.4 scoring average in 2016-17. Hedlund was BC/NG’s top 3-point shooter (48-of-177, 27.1%), connected on 38.6% of her overall field goal attempts and shot 59.2% at the free throw line (45-of-76). She averaged 2.4 rebounds and 2.3 assists per contest. Jessie Sullivan was a big factor for Boone Central/Newman Grove during a 15-9 campaign. The 6-foot-4, 220-pound junior led the Cards in scoring (13.8) and was second in rebounding (7.0). He topped BC/NG in overall field goal percentage (56.7%) and 2-point field goal percentage (56.6%) and shot 67% at the foul line (71-of-106).